The quality of food being made available in restaurants and school cafeterias as well as the decreasing level of physical activity are the major contributors to a large number of people being grossly overweight these days. This also means that many more people in America will be suffering from ailments such as increased blood pressure, heart problems and strokes in the years to come. Since awareness regarding these issues has spread already, adequate measures can be taken to avoid such health hazards. Regular exercises as well as a well-maintained diet pattern are the simplest and the most highly recommended methods of keeping high cholesterol levels at bay. Dieting has always been associated with having to give up eating tasty food items that contain a lot of fat. But this need not be the case. Consumption of food rich of fats should definitely be curtailed and these foods can be substituted with other food items that are rich in fibre and contain smaller quantities of saturated fat. Such food items include artichokes, corn, fish, garlic, legumes, mushrooms, nut, olive oil, soymilk and whole grains. Fruits as well as vegetables should also be made an essential component in the diet plan since these contain plenty of sterols and also help to control the cholesterol levels in the body. All the food items mentioned above are easy to find in any supermarket and are not likely to make a big hole in your pocket. Apart from the consumption of solid foods, necessary care has to be taken while consuming liquids as well. This means consuming liquids like red wine and beer in smaller quantities and also increasing the intake of healthier liquids like juices freshly squeezed from fruits, milk that is fat free and also lots of water. Regular exercise is also required in order to maintain the cholesterol levels in the body. There are many different ways of indulging the body in exercise but some of the most common methods are taking a brisk morning walk and running or jogging in your local park. Some people learn new sporting games like tennis or badminton in order to exercise themselves and stay fit as well as keep the cholesterol levels down. You can also go and exercise at the local gymnasium. Every gym has a personal trainer who can teach you the right exercises that help you to stay fit as well as suit your body. A normal exercise program includes lifting weights as well as cardio-vascular exercises that help in sweating out the calories and also keeping the cholesterol levels low in the bargain. If exercising regularly and also following a rigid diet plan are not helping to keep your cholesterol levels low, then a third option can be considered. This involves consumption of medicines prescribed by a doctor. Medicinal drugs can also be used to maintain the cholesterol levels in the body. Many such drugs are available in the pharmaceutical market today and these help to reduce the cholesterol levels from 15% to 30%. But many of these drugs could have side effects depending on the health of the individual hence it is always advisable to consume such medicines only when they are prescribed by a doctor. 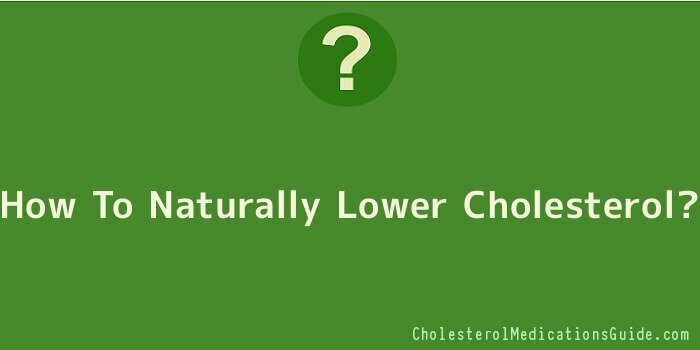 The most common method of cholesterol increasing is through the consumption of food items that have high cholesterol content and the body also produces it from time to time. The only way to ensure that the cholesterol levels in the blood do not overshoot the regular mark is by going to a doctor regularly for a check-up and also by watching what food you eat when you visit a restaurant.